Original post on the Rogers Small Business Forum here! In just a few years, the use of smartphone and wireless technology to connect with retail customers has gone from cutting edge to mainstream. Mobile strategies that were once the domain of retail giants have become accessible to small-business owners. Independent retailers can use mobile tech – such as social media and pay-as-you-go cloud-based applications – to bridge the divide between online and in-store shopping, to make transactions speedy and hassle-free and to create a richer, more personalized experience for their customers. Here are three ways mobile technology can help retailers evolve and stay competitive in the future. It’s awkward when potential customers know more about what you’re selling than your employees do. Michael LeBlanc, Senior Retail Advisor at the Retail Council of Canada, says that smartphone-based services such as WorkJam can be used for scheduling, training, assigning tasks, and providing staff rewards and incentives. By streamlining these routine interactions, even when employees and managers are offsite, staff can stay focused on meeting customer needs, using mobile tools such as Tulip to perform tasks such as searching store inventory for the right colour and size without ever having to leave the customer’s side. “A well-versed, educated employee will have a sense of what your customer will buy, what they would like and what they’re not buying,” says LeBlanc. While developing a loyalty-program app can be an effective tool for staying top-of-mind with customers, it’s challenging to create a program that really stands out. Myles Gooding, the partner who leads the national retail industry team at PwC Canada, says free instant-messaging apps such as WhatsApp and Snapchat can work like loyalty-card programs, providing a cost-free way of communicating with customers – and potential customers – in mobile spaces where they’re already spending time. “It’s about being part of a community, being communicated to through the medium and being rewarded through that medium,” says Gooding. The possibilities are endless. Retailers on Toronto’s fashionable Queen Street West have started providing free Wi-Fi on the street and in parkettes, which allows them to not only push out special offers to people who are nearby, but also to collect data – such as how many people are around at different times of the day – that can provide a feedback loop to assist in staffing and inventory management. 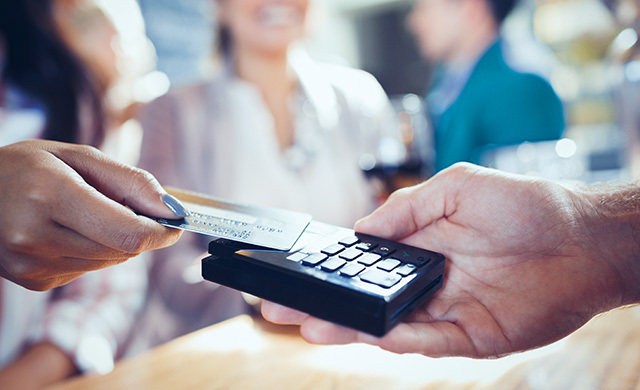 Giving customers the ability to pay wirelessly, either with their smartphone wallet or with the help of staff carrying a tablet equipped with a credit-card reader like Square, doesn’t just make for easier transactions. It can transform the retail environment. Stores that are no longer built around cash registers or even checkout counters can be designed to be more appealing, distinctive and memorable. Paperless transactions can take place in the moment, right where a customer spots something they love. By using smartphone-based augmented-reality apps to plan out in-store displays or arrange their inventory, LeBlanc says retailers can reimagine how they use their showroom space, thereby enhancing the customer experience and maximizing their potential for sales. Looking for more ways to enhance your customers’ experience? Click here for tips!